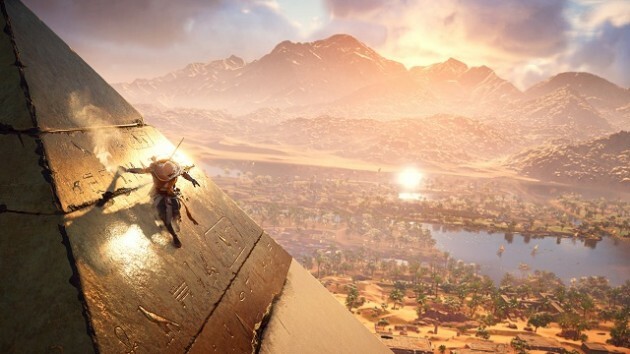 Xbox One X’s true 4K helps bring Egypt to life, says the game director. That development for Microsoft’s super-powerful Xbox One X is easier than everyone thought it would be seems to be a common consensus among video game developers. One of those developers is the team at Ubisoft that is currently working on Assassin’s Creed: Origins, led by game director Ashraf Ismail. And Ismail says getting the game up and running on the One X only took the team “a few days”. “As soon as we got our hands on the console, on the hardware – we have really brilliant engineers,” Ismail said in a post E3 interview. “They took it, and literally within a few days we had it up and running. It was amazing, the guys were actually quite thrilled. Just to see what the game looks like in 4k- it’s beautiful. I’m so proud of the team, and the art that we have, and our engineers are brilliant. Assassin’s Creed: Origins launches later this year for the Xbox One, PS4 and PC. You can check out one its impressive gameplay trailers show at this year’s E3 here. Stay tuned for more updates on the game.